The world’s oldest and active Preacher by the Guinness Book of World Records, Pa Samuel Akinboda Sadela went home to be with the Lord 4:30 am, on August 24, 2014.He was 114 years old. He was born August, 1900 at Ifon, Ondo State, South Nigeria. The founder of the Gospel Apostolic Church, Gbagada, Lagos Nigeria impacted the world with the power of the gospel. Though he has left this physical world , he still speaks. I am posting here a compilation of 3 secrets of long life I discovered from his exposition of his long life from his book, “7 secrets of Long Life”. He wrote the book at the age of 105 years old and published in 2005 in Nigeria, West Africa by Dominion Publishing House. Pa Sadela was a living letter of the word of God. In the Forward to the book, Dr. David O. Oyedepo, Presiding Bishop of the Living Faith Church Worldwide Inc. says,”…this author has handled, the Word of life and is therefore, the most qualified to write on the subject of longevity...Drawing from his wealth of experience, Pa Sadela outlines the principles of God that he has applied to his life”. PA SADELA IN HIS WORDS. 1. "One of the greatest promises of God for believer in the Bible is the promise of long life. Unfortunately, many Christians fail to appreciate this great promise as a heritage which they should claim by faith. No wonder God lamented in Hosea 4:6, “My people are destroyed for lack of knowledge”. 2. "The most painful aspect of premature and sudden death is that many Christians who are supposed to claim long life as their heritage are also victims of premature death". 3. “…I have experienced the faithfulness of the Almighty God regarding this promise which I believe is for whoever is ready to receive Christ". (John 1:12). 4. “I gave my life to Christ in 1932. Since then, I have discovered that the Word of God is as sure and dependable as ever. God is in His Word to perform it". (Jeremiah 1:12). 5. “At 105 years of age, I feel like 50 years younger! It is the Lord Jesus Christ who has been renewing my strength." (Isaiah 40:31). 6. “Physical health is usually a reflection of spiritual well-being”. 7. “I jealously guard my relationship with God. I don’t allow anybody or anything to block my relationship with the Almighty God”. 8. “God reserves special blessings for those who have personal relationship with Him. Chief among these special blessings is long life”. 9. “Some wicked people may have length of days but not long life. Long life is for the children of God…Length of days is to live for many years without necessarily fulfilling purpose or destiny in one’s life.”. 10. “Long life…is spending those long years or at least the later part of it in the will of God…Long life which is length of days plus good health, is a basic blessing of God for those who have relationship with Him”. 11. “His will for those who have personal relationship with Him is that is that they prosper physically and spiritually (3 John 2). 12. “Their [Moses, Simeon and Anna] relationship with God was mainly responsible for their long life”. 13. “It [Long life] depends on our faith, relationship with God and His divine purpose for our lives”. 14. “Long life as defined by God is for us to see our children’s children even up to the 4th generation like Job”. 15. “Obviously, the Lord’s desire is that we should live long enough to “enjoy the work of our hands”(Isaiah 65:21,22). 16. “When God takes over our lives, our strength shall be renewed daily as the eagle’s”. (Isaiah 40:31). 17. “Long life is your heritage in the Lord, claim it by faith”. 18. “Our absolute love for God should be reflected in our attitude towards spiritual matters”. (Psalm 15:1-3). 19. “Steadfastness in serving God goes beyond giving tithes and offerings or making substantial financial donations to support projects in the church. It involves yielding all we have at His disposal to use for His glory". 20. “Our time is number one resource we must give Him. We must have time for God; time to meditate on His Laws, time to be alone with Him, to worship Him and to reflect on our relationship with Him”. 21. “It also involves making our treasury [money, wealth, property, etc] available for His use”. 22. “…It involves using your talents to serve Him”. 23. “If you love God absolutely you can never find it difficult to love your neighbor. This is because the love of God dwelling in you will naturally flow to others relating with you”. 24. “The Lord Jesus Christ came to die for us so that we may be transformed. We should therefore not conform to the hypocrisy in the world where eye service and deceit abound”. (1 John 4:19-21). 25. “…I have discovered that the closer you are to Jesus Christ, the easier it will be to love your neighbor as yourself”. 26. “If you have just a little of “agape” you will never be disappointed when people offend you. In fact, you will pray for those who persecute you as commanded by the Lord”. 27. “The best of human being can disappoint you. Always put your trust in God”. 28. “Nothing cuts life short more than harboring bitterness, hatred, grudges and malice”. (Acts 24:16). 29. “Like Daniel, we must be innocent before God and man”(Daniel 6:22). 31. . “A renewed mind renews the body. If you want to perfect your body, beautify your mind. Out of a defiled mind proceeds a defiled life and corrupt body”. 32. “Fear of death, sickness, and powers of darkness are the greatest sources of fear of man. All these fears will reduce to zero in our lives as we begin to operate on the perfect love of God”. 35. 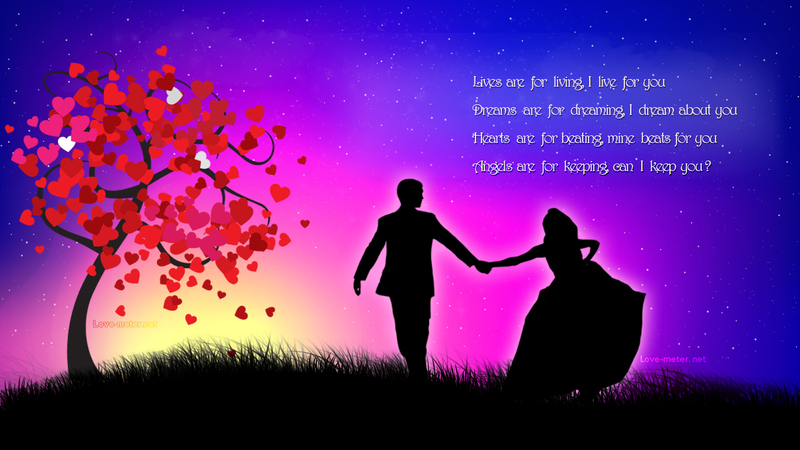 “To operate in love is the surest way to longevity. On the other hand, harboring malice, hatred and grudges could lead to sudden and premature death”. 36. .”Truth sanctifies. Truth purifies. When your heart is filled with truth, it enables you to face the challenges of life…Your body and spirit will be purified from time to time. Truth prolong days”. [John 17:17-19]. 37. “A man is established first and foremost by the truth…Christ is full of grace and truth. We have to put away lying and embrace the truth. It will establish us and enable us to abide in Christ. This will surely prolong our days”. [Ephesians 4:15, 20, 25; John 1:14]. 38. “Conversely, lies and deceit usually shorten life.” [Acts 5:1-11]. 39. “To live long you must stand on the truth at all times without minding whose ox is gored”. 40. “To live long we must mind the way use our tongues. Nothing kills faster than the tongue”. [Proverbs 18:21]. 41. “It”(Sexual immorality) is perhaps the commonest sin that ruins the youths of the world today”. 42. “True love is patient with the opposite gender”. (Genesis 29:18). 43. “To live long you must avoid sexual immorality.” (Proverb 6:23-29). a]. ”Guard your mind”. (Proverbs 23: 7). b].”Keep away from friends that tempt you to sin”. (Proverbs 13:20). c]. “Don’t focus on today. Focus on the future. Think of long term consequences”. (Proverb 7:1-27). RESPECT FOR ELDERS AND LOYALTY TO MENTORS. 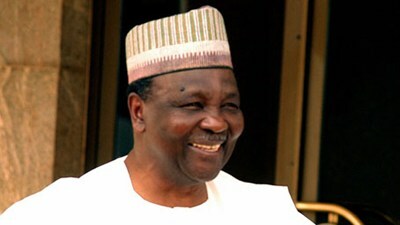 Former Military Head Of State in Nigeria. 45. “Loyalty to one’s leader or mentor is the hallmark of faithfulness. It is one of the virtues which can prolong days”. 47. “Many servants of God have failed in their ministries because they failed to recognize the place of loyalty in the ingredients of success”. 48. “It is always good to be open to your masters and mentors when it comes to your future plan. 49.“Faith sees things hoped for as reality. Faith also sees the unseen as real”. 50.“To overcome the world, sin and the devil, you need to exercise faith”. (1John 5:4; Hebrews 11;1-6). 51.“I have entrusted my health unto the lord. I have no iota of doubt in my mind that it is the Lord who prolonged my days”. 52. There is a strong correlation between our faith in God and our health”. 53. “The rewards of keeping the Word of God include some of the most important things in life such as length of days, long life, good health, peace and honor”. (Proverbs 3:1-3,8-9). HAS THIS BEEN USEFUL TO YOU.